Greetings fellow Toastmasters! 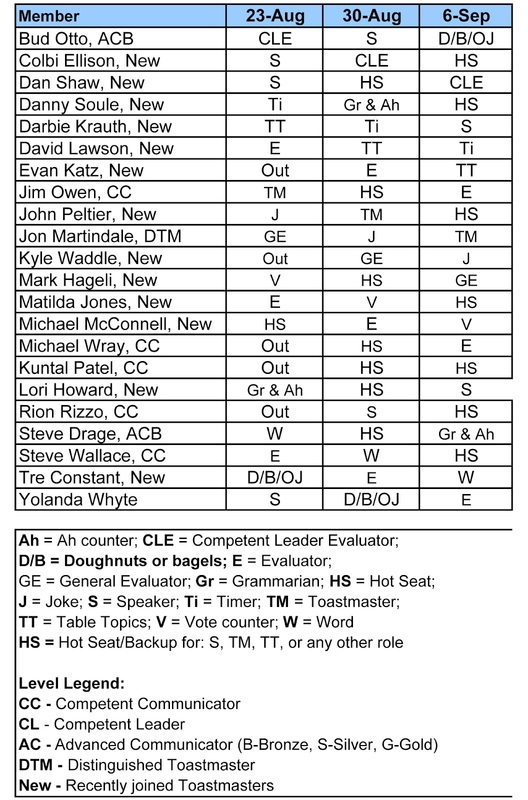 The weekly Toastmaster schedule is updated for your review. Please be in touch with the Toastmaster (this week, Jim Owen, email: Jim_Owen@bellsouth.net) to advise him of your availability to fulfill your duties. 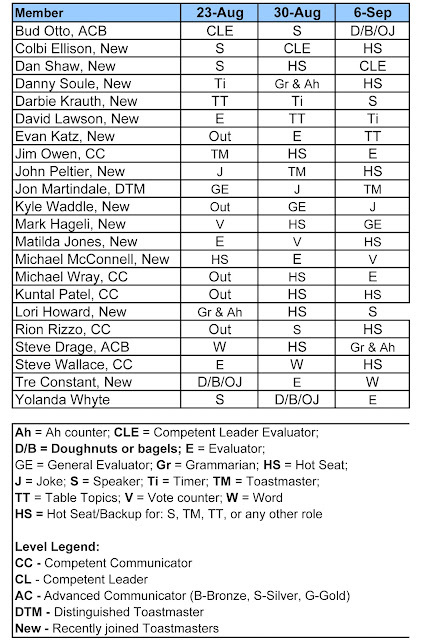 Don't forget to bring your Competent Leader Manual with you to the meeting and have the CLE fill it out.